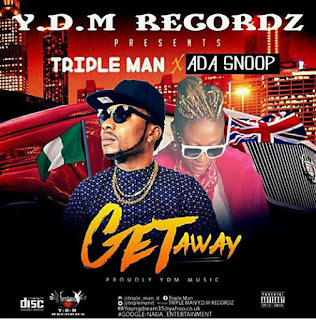 (GET AWAY) OFFICIAL AUDIO SONG BY TRIPLE MAN FT ADA SNOOP, PROUDLY PRESENTS BY Y.D.M MUSIC. DJ Bobbi who has established himself as one of the few DJs to reckon with in Nigeria and diaspora is relentless in his search for ways to add more value and take the game a notch higher. 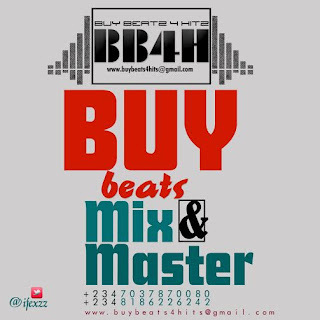 He has a couple of hit tracks such as “Have some fun” ft Mr. 2kay, “Kingin” produced by Krizbeatz, “Fever” ft vector & Jaywon to mention a few. Dj Bobbi has proven himself to be the “PARTY MACHINE” and an ICON in the game. The New song “Parker Dem” is a very heavy one and sure to take its turn as one of the new street anthem. The duo of Skuki – Vava Voom and Peeshaun serves up the official music video to their potential street anthem – “Forkanizer”. The video was shot in a Mansion and it was directed by Lucas Ried. Flavour presents the video for “Nnekata”, the eighth track off Flavour’s current album, Ijele- The Traveler.” Directed by Tchidi Chikere. Diamond Platnumz comes with this smooth dancehall-type tune titled “Hallelujah” featuringMorgan Heritage. Put you dance shoes on to bump to this awesome joint. Directed by Mr. Moe Musa. Maleek Berry is currently holidaying in Bali and he decided to share this little something for the fans. A medley of some of his favourite songs – Coldplay “Magic” – Wande Coal “Superwoman” – Mario “Let Me Love You” and he did justice to it. The drama has not ended! In the most recent episode of Hot Topics with Latasha on Linda Ikeji’s Tv (Watch here), journalist, Azuka Ogujiuba revealed shocking details about Tonto Dikeh’s crashed mariage. According to Azuka, Tonto Dikeh lied about being abused by her ex-husband, Olakunle Churchill saying that she was the who was abusive. She claimed to have video evidence to back up her claims and said she came to this conclusion after interviewing Tonto Dikeh and Churchill at different times. Speaking about her ex-husband, Tonto Dikeh revealed that former president, Olusegun Obasanjo is not Churchill’s father but that his father was Obasanjo’s Gardner. Read all she wrote below. It’s quite long but shocking! – After 7 domestic violence incidences and miscarriages caused by domestic violence I curse you today! You will search for the same peace,wealth,love and happiness that you are trying to take away from me. Until I forgive you, you will not find. My God never sleeps. If you listened to the original version of the track Asiko by the group Hypa, you will know that probably no one would have done justice to the remix like the legendary 9ice. Sticking to the message of the song, 9ice came through with superb lyric and sonorous voice to take the song to that level you will term epic. Dreams Records which house the young talented group Hypa is taking no chances as they deliver a well crafted video directed by Adasa Cookey. 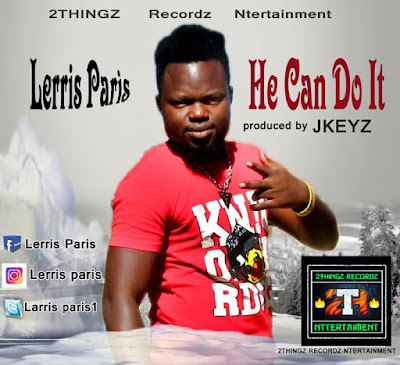 Shot in a location in lagos Nigeria, this is one song that can be defined as timeless. Young star from Ghana KiDi releases the video to his single “Odo”, a groovy love ballad that has currently been burning up the airwaves in Ghana. Artist and producer KiDi is the winner of the 4th Edition of the MTN Hitmaker series, a music reality show pioneered in Ghana. The song was produced by KiDi himself. Lil Kesh released the visuals to his latest banger ‘Baby Favour’ produced by his favorite producer, Young John. The Crispy clean and colorful visuals was directed by Unlimited LA and features the West Syde Life Dancers of Olamide’s Wo fame. Watch and enjoy below. Major League DJz serves up the visuals to their single “Do Better” featuring Nigerian dancehall act – Patoranking, South African rapper Riky Rick and singer Kly on hook duties. Kilimanjaro by Dj Yin which features and produced by music genius Bankyondbeatz is a song about her journey with depression, she explains that she released the song in order to help other depressed people out there, the song stars popular radio OAP Kemi Smallz, artistes like Fasina, Odunsi (The Engine), Nova, popular Producer Benie Macaulay as well as Poet Ayo Wright, with an up-tempo beat produced by the one and only BankyondBeatz, the song doesn’t make you feel depressed but brings you into a lighter mood. Chocolate City singer – Koker serves up the visuals to his uptempo party starter tune – “Okay”. The video was shot on the streets of Lagos, it was directed by Adamsgud. Ademola Ogunbote known as Omihanifa, born July 7 is a talented artiste and songwriter. The La beat music frontline artiste is leaving no stones unturned. After the successful hit Halelluyah meje meje featuring 9ice, the Bariga born is here with Wave Remix featuring his old time friend Ybnl boss Olamide. Song produced by EskeeZ, mixed & mastered by Swamps and directed by unlimited L.A.
You can follow Omihanifa on IG @OMIHANIFA Twitter @OMIHANIFA7. Artist on the rise Darkovibes, from Ghana, drops the music video for the single “Tomorrow”off his upcoming EP “PLACEBO”. The song (produced by Kuvie), has been getting a lot of love, and the video complements the amazing tune perfectly. Directed by Darkovibes & Babs. Ghanaian born UK Based music duo Reggie N Bollie follow up Bumaye with this new heavy collaboration. They dish out a new tune titled “All The Way Up” which highlights Nigerian hitmaker 2baba. Fresh Tag Ent. Artist “Bubbling” is back again to prove he deserves a sit at the throne in the African Hip-Hop scenery. His back with the Visuals to his highly lyrical song named “Beast Mode” which shows his diversity and true talent as a rapper. The winner of Miss Turkey 2017 was on Friday stripped of her crown hours after winning the competition over a controversial tweet. Itir Esen,18, won the competition in Istanbul on Thursday night and was meant to represent the country in the Miss World competition in China. Hours later, organisers of the competition forced her to hand back her crown after it emerged she tweeted about a 2016 failed coup aimed at ousting President Recep Tayyip Erdogan. In the already deleted tweet, Esen was said to have compared the bloodshed in her menstrual cycle with that of the 249 people who lost their lives during the failed coup that are now celebrated in Turkey as martyrs. She wrote:"To celebrate July 15 Martyr's Day, I began the morning by getting my period. I am celebrating the day by bleeding representing the martyrs blood,"
The organisers who saw the tweet after the beauty contest’s results were announced were forced to hold an hours-long meeting to reach a conclusion on the controversial tweet. In a statement later released by Can Sandikcioglu, the head of Miss Turkey, he confirmed the tweet was posted by Esen. “The Miss Turkey organisation, whose objective is to promote Turkey in the world and to contribute to its image, cannot accept such a post,” he announced. Esen’s title was handed to Asli Sumen, who came second and who will now represent Turkey in the Miss World contest in China on November 18. Taking to Instagram, Esen said her post was not politically motivated. “My family raised me by teaching to respect our homeland and nation. I do not have a character that could show disrespect to our martyrs,” she said. Iwobi, since his promotion from the club’s academy has been an integral part of the team, but has scored a miserly five goals in 41 English Premier League games, a situation Wenger doesn't want to see continue for the 21 year old. “I like the fact that he can play in tight areas, that he turns the game forwards, that he’s very mobile," Wenger told the club’s website. “They have to come out. Add that to the fact that he allows the team to play very well and he will be a top-class player. Peter and Paul Okoye have been leaving telling posts on social media that hints at a breakup of their group P-Square but they have not come out to confirm anything. However, Peter's recent post comes close to a confirmation. In Snapchat video, Peter revealed he was in Philadelphia for a solo show - without his brother. "My name is Mr P," Peter said "As from today, guess what? It's show time, I'm about to go on stage." He was surrounded by some friends in the snap but noticeably absent was his twin brother, Paul. The buzz song of the moment, “Wo” by Olamide has been getting a lot of love in the industry, prompting indigenous rapper CDQ to record his own version aptly titled “Woss”. Pappy Kojo delivers his highly anticipated new visuals for his single titled ‘No Way’. ‘No Way’ is Pappy Kojo’s second single off his upcoming EP. After releasing his first single; M’akoma to critical acclaim, Pappy is back with a very different vibe from what we are used to hearing from him. Aside from the fact that most of the song is in English not Fante(his usual language of choice), he moves away from his usual staccato rap flow to deliver his lyrics in a smooth laid back low key singing voice, we also get to experience a sentimental side of him as he speaks of the ills of stardom and how he has no space in his mind for negative energy. New kid on the block, Jephy Jay releases a remix to his latest single “Ifeoma (Pt. 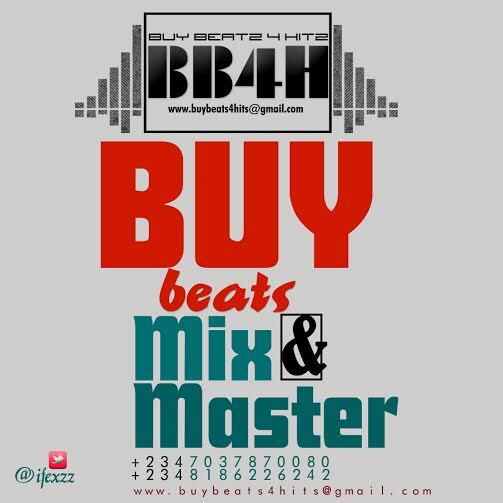 2)” featuring Mavin boss, Don Jazzy. In the words of Jazzy, “I don’t like what I hate“. And I like this song. So you must like it too. Why? Because you can’t hate it. When it comes to that killer hook or chorus, only a handful of artists can beat Wande Coal at it. Wande serves us his first single since the smash hit “Iskaba” Ft. DJ Tunez and it’s titled “Oh No No”. On this track, Wande Coal showcases his vocal prowess as usual. The EP features Wizkid and Spellz and it is littered with love songs as Tiwa Savage warms our heart with the well-anticipated body of work. Following the success of his debut single, Afro Wonder serves up the Crisp visual to its much deserved and anticipated Tune, which He enlisted one of Nigeria’s finest Dj and Raba Crooner, Dj Shabsy. The buzzing single “Ginger Me” has not only been on the lips of music lovers but has taken charts and streets by storm. Furthermore, it has also became the Djs Favorite and one of the most played songs across the radio airwaves ever since it dropped few weeks ago. The video was shot and directed by Hg2films. Watch & Download and Kindly Share.